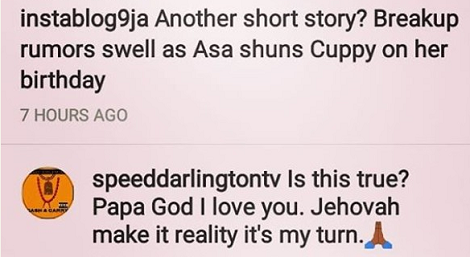 Internet sensation and U.S-based Nigerian singer, Speed Darlington is happy Dj Cuppy has allegedly split from boyfriend, Asa Asika saying it is now his turn. 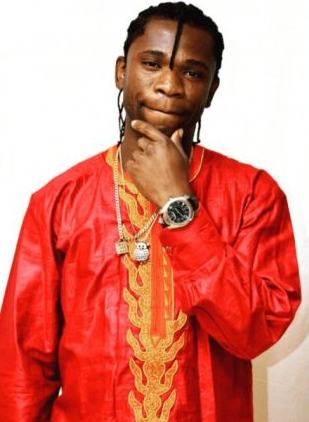 Speed Darlington dropped the comment on an Instagram post, lol. See it below..